Last weekend, Hamilton Avenue in Northside was packed with people walking, biking, skateboarding, painting, playing music, and enjoying a nice summer day. 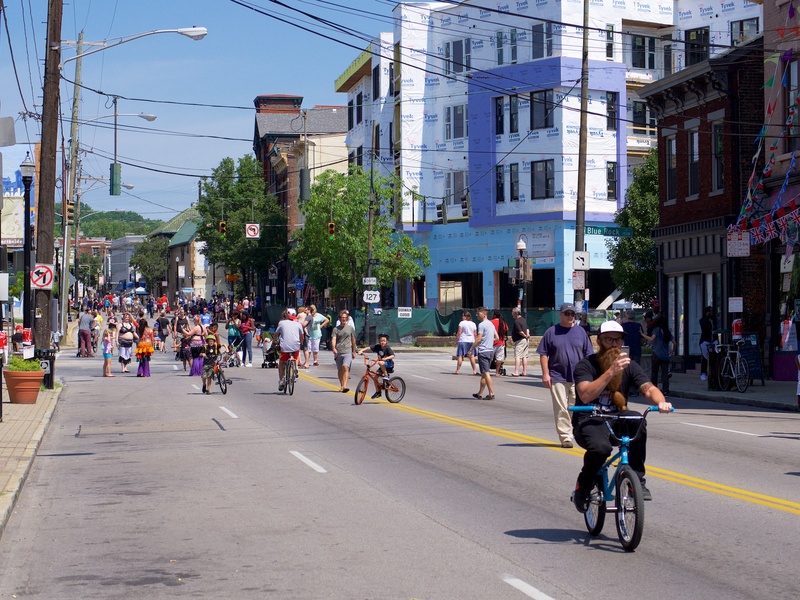 The street, which serves as the spine of neighborhood’s business district, was closed to automobiles for four hours as part of the Cincy Summer Streets series. More than 100 open streets festivals take place across the country, and Cincinnati joined the trend last year with events in two neighborhoods. In 2015 Cincy Summer Streets has expanded to three events – Walnut Hills on July 18, Northside on August 23, and Over-the-Rhine on September 26.